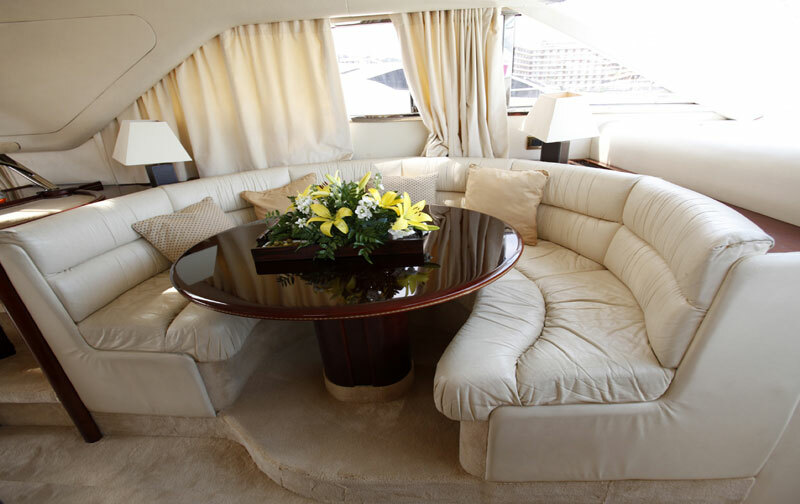 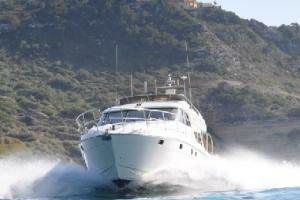 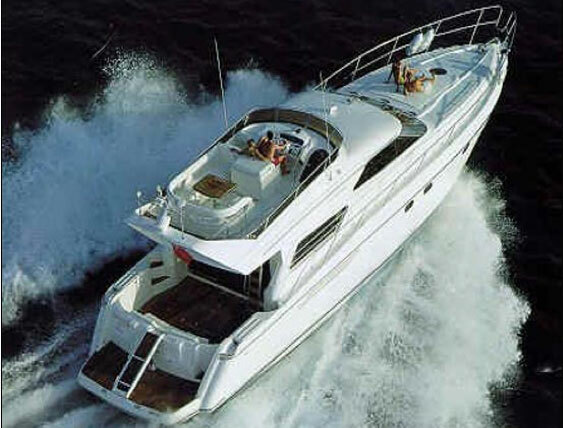 This is a luxury Princess 60 motor yacht measuring just under 19m. 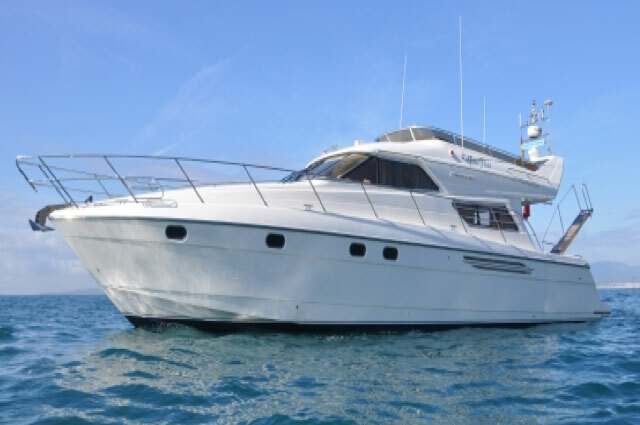 She sleeps 6 people and 2 crew and can accommodate 12 for day trips and is fully air conditioned throughout. 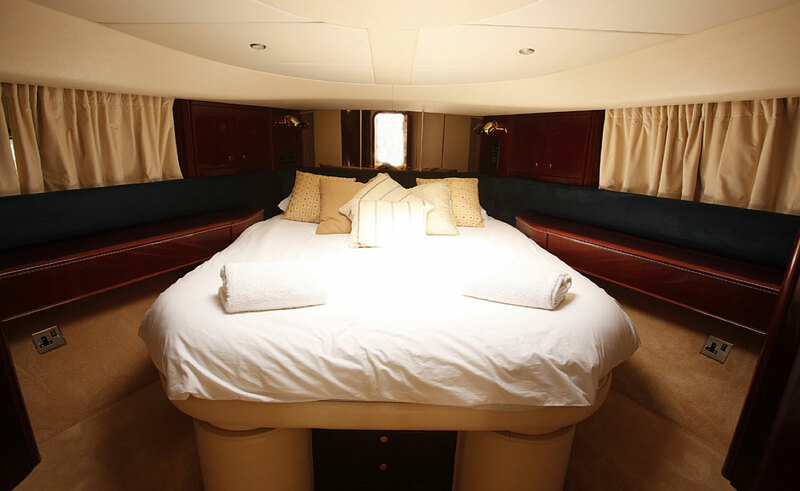 She has 3 cabins including a VIP room with its own en-suite toilet & shower room and two twin/double rooms sharing an additional toilet & shower. 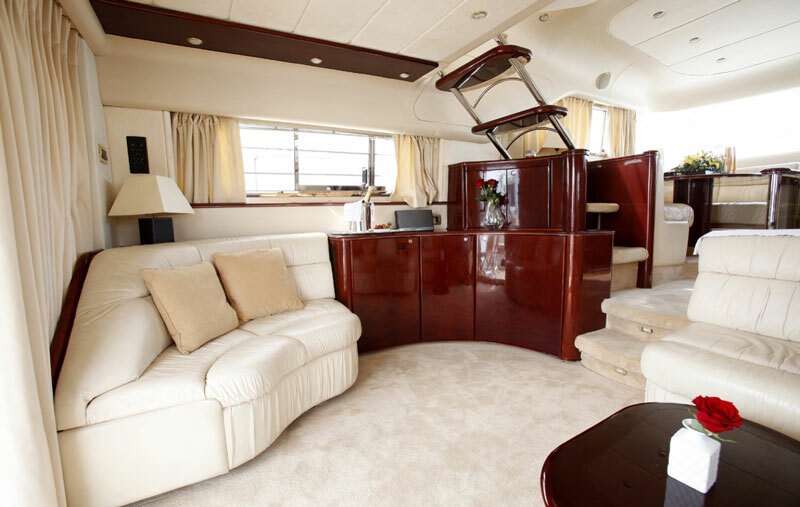 Access to the crew quarters including their own bathroom facilities is via a separate entrance on the rear deck.